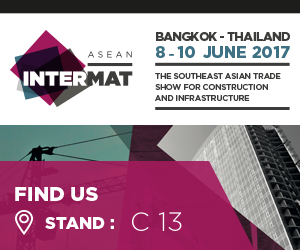 Busllstern selected INTERMAT ASEAN as the favorite venue to showcase its excellences for South East Asian markets! Bullstern Attachment will be present at the first edition of INTERMAT ASEAN 2017. Come and visit us at our stand! Announcing the launch of our brand new website! © COPYRIGHT S&C Co., Ltd. All Rights are Reserved.